911 Restoration Seattle wants to assure the citizens of Everett that our restoration services are IICRC certified in order provide the community with care they can rely on to handle leaks and floods. Water damage is an issue that can happen surreptitiously and for prolonged stretches of time, which is why homeowners can call us for a free visual home inspection if suspect their home has unwanted water. Sometimes water damage is more obvious such as in the event of a pipe burst. So for any water-emergencies you can call us and we’ll be there within 45 minutes to perform on the day service. Our water damage Everett team about bringing the fresh start for those in need of peace of mind after an accident. Call us and we can get on track for a new tomorrow. As said before the nature of water damage is varying. Poor drainage because of blocked gutters can cause water to stagnate on the roof leading to water damage in your attic and ceiling. Gutters that are not optimized to allow water to flow out can lead to water ending up in your crawlspace and subfloor. A pipe burst or leak that goes unnoticed so it fills the spaces of your walls. Preventing water damage and saving yourself money is as simple as being proactive. 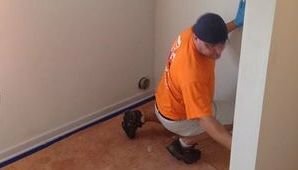 The water damage Everett team at 911 Restoration wants to be the change we see in the world, so here are some great tips to save you from headaches. Checking water flow in your home and clearing out gutters is great for preventing accidents. Be mindful of where pipes run in your home. Checking them monthly during the wintertime can help you prevent a burst. Moreover, a good part of the plumbing may be exposed, so it is important to try to avoid pipes from freezing over by providing them with external heat from your home. To elaborate, pipes like the ones underneath your sink can be kept warm by allowing the warm air from your heater to flow by it. Keeping cabinets open is great way to accomplish that. Sometimes incidents occur despite our best preparations. Fortunately for our customers, our water damage Everett team is available 24/7/365 and we have sophisticated equipment that can track down and clean up the true causes of water damage. For example, an Everett customer had water leaking out of her brick wall in her basement. Worried about current and persisting damage she decided to call 911 Restoration for an expert opinion. When our water damage Everett team got to her home we set up an infrared camera to peak into her brick wall. The way the camera works is that it creates an image of heat radiating out. Water has a high specific heat, so it absorbs heat efficiently. Thus, cool blue areas are sign of moisture and water. Looking inside we were not surprised to find water in the wall, but the homeowner was surprised to find out that she had a water line running through her basement wall. 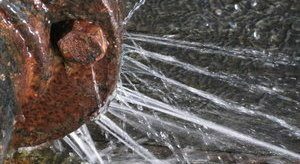 During the winter, water can freeze and cause pipes to expand and contract resulting in a pipe burst. This is exactly what happened tour Everett customer. Luckily, for her we arrived within the hour industrial grade vacuums and dehumidifiers to rid the home of damaging water. We were able to clear the water out and bring tranquility to her life. 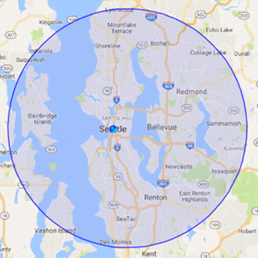 If you’re in need of our services, call our water damage Everett team!